My heart was aching when we know that we could not ride the Hot Air Ballon that time. 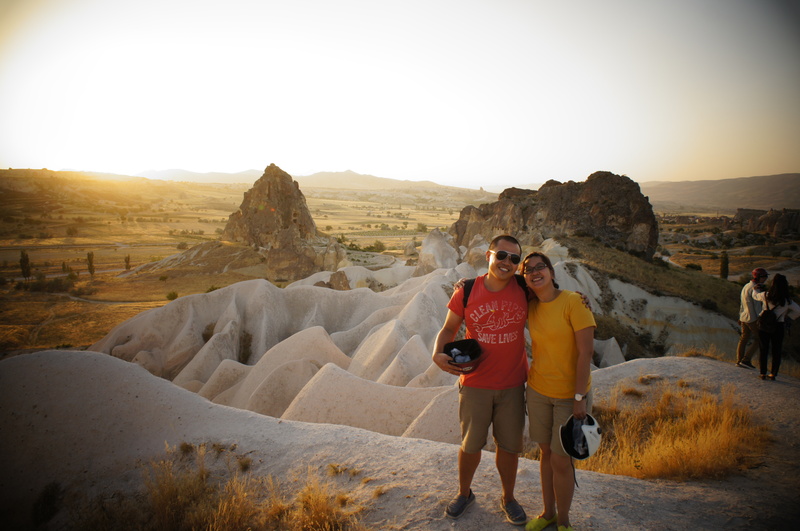 We only stayed in Cappadocia for 2 days 1 night, and only have that only morning to fly and see the beauty of Goreme, Cappadocia. Everything has been booked for the balloon ride that morning. Samed from Koza Cave Hotel *a very pretty cave hotel* helped us to arrange a ride with Butterfly Balloon. we already woke up at 4am, got ready and waiting eagerly at the lobby by 4.20am. waiting for the driver to come and pick us up at 4.30am. not long after that, the driver come with a paper and talked with Samed’s father (the hotel owner) in some local language. 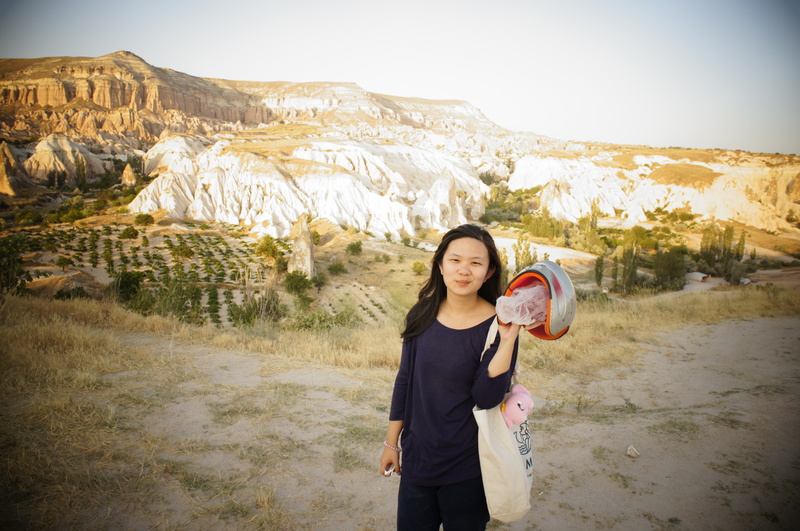 haha.. very funny statement yaa..
oh yaa.. the people in Goreme are all very nice and helpful, eventho they speak little english.. But luckily few hours before the disappointment, we already went for the ATV ride. Actually this ATV Ride was also an impromptu one. we never plan to have any. 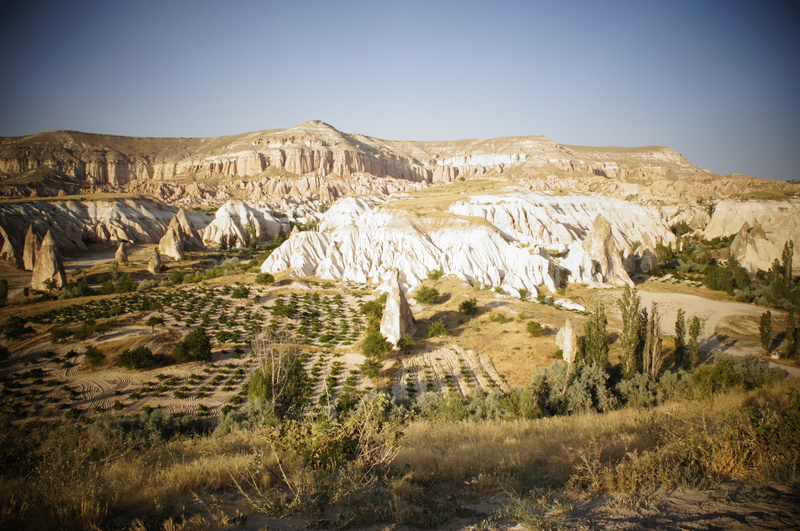 only when we walked down to Goreme Open Air Museum, we saw people are riding and ATV and saw ATV rental around the corner. we came to visit and asked how much does it cost, blablabla..
i cant remember exactly on how much we spend for the ATV, it was not that cheap too.. i think around 40 Eur if im not wrong for an hour ride. 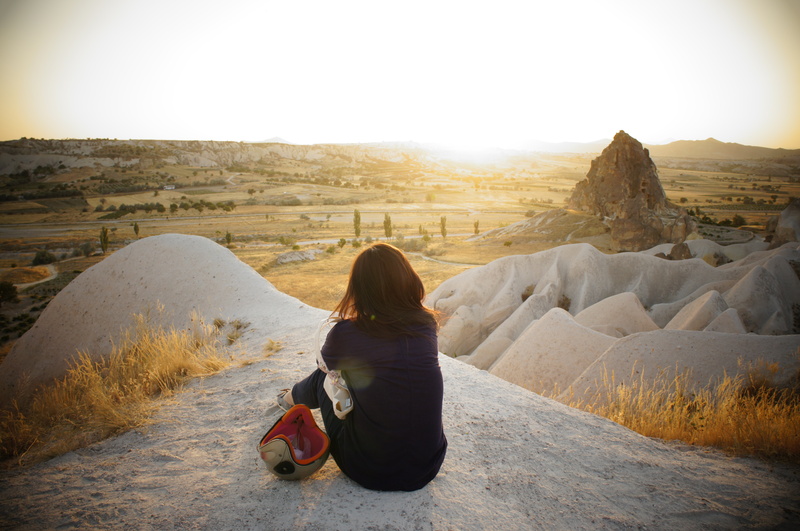 we were lead by the local youngsters to see a sunset on a hill. 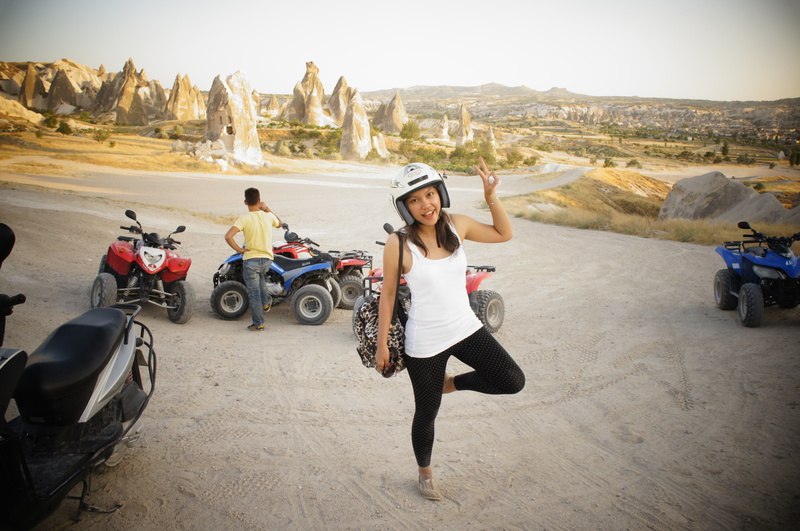 there’s an option whereby you can rent the ATV for a day and go around Goreme too. 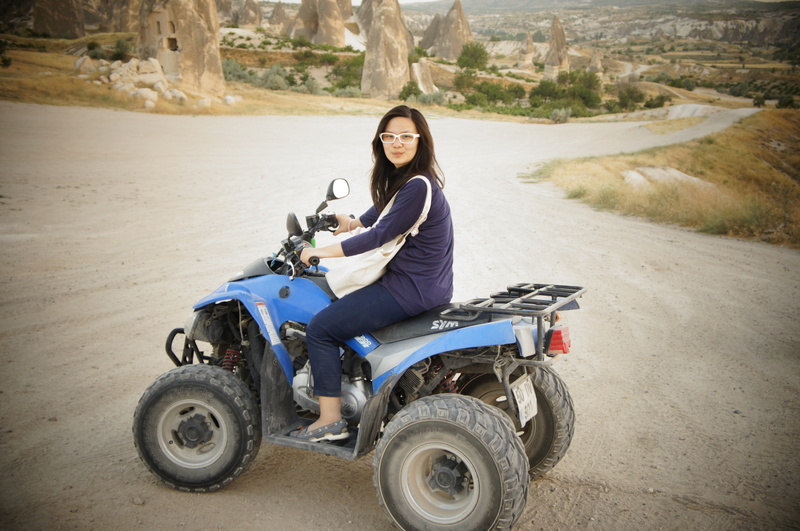 riding an ATV was very fun experience. it’s like driving a big motorbike with 4 wheels. haha.. The youngsters lead us to 3 places. – The local church, a place where no one of wanted to go, because we must hike up. haha.. so we just stay there for a while and go again to the second sightseeing place. 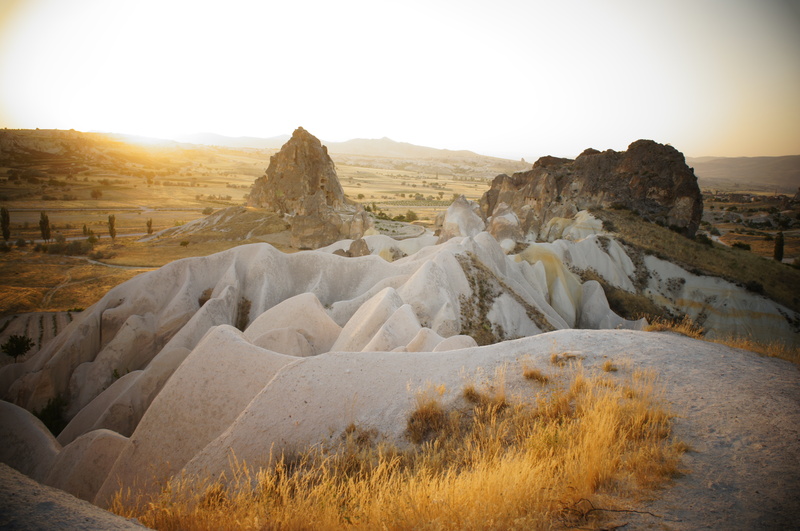 – The Second place was a higher ground where we can see some valley from there. – And the third last place was our final destination. The Sunset Place. Raimond found this place so pretty, and so did we. so he go and ask 1 of the youngsters this question. hahahaha.. yahh kurang lebih gt deh ceritanya.. lupa2 inget. hahaha.. Yes, it is a hill for us to see the sunset, but we dont know what’s the name of the place until today.. haha..
oh.. the one thing that i dont like while driving ATV was the sand that keep going in to your eyess.. gahhh..
i already wore a spectacles that time, cannot imagine if im using my contact lense. 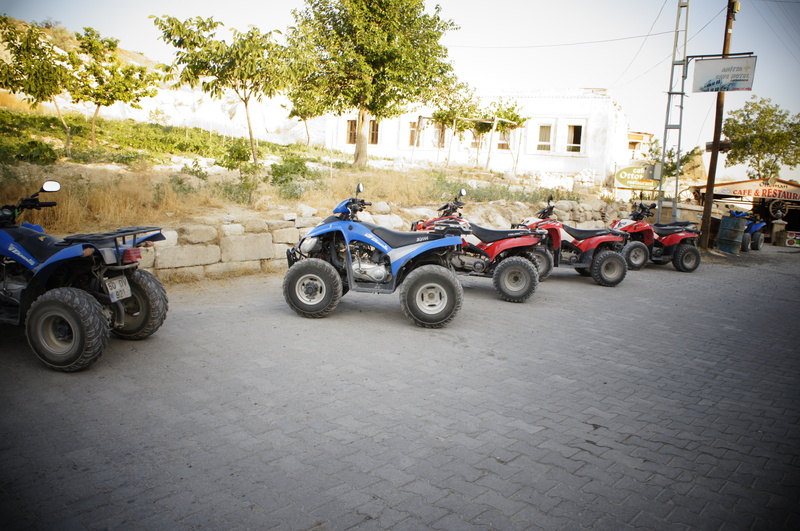 and you can share the ATV if you want to cut the cost. hehe.. anyway, after a while your hands will get very tired, especially your right thumb because you must keep pressing for the gas. 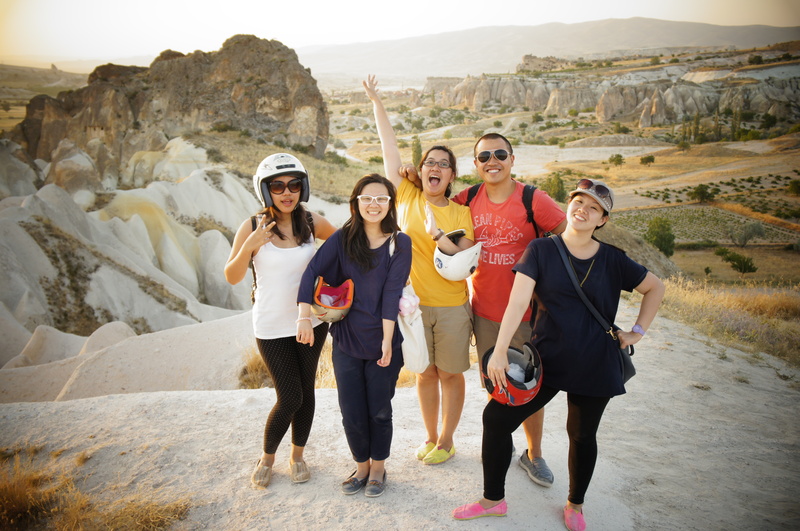 haha..
but overall, it was such a great great experience, something that you must do if you are visiting Cappadocia. 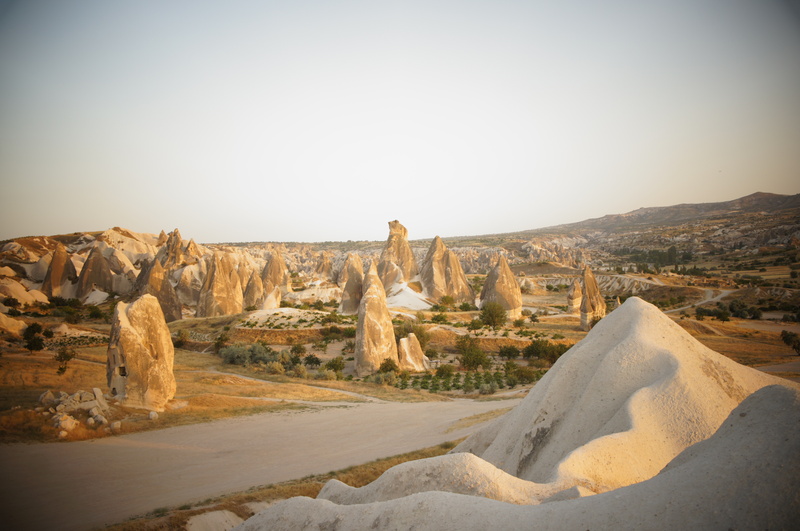 This entry was posted in Turkey and tagged ATV, Cappadocia, goreme, hot air balloon, sunrise, sunset, valley. Bookmark the permalink. oh ya? rose valley ya? hahaha.. iya nihh. aku punya.. lupa upload kali ya waktu itu. haha. comot aja jeung..